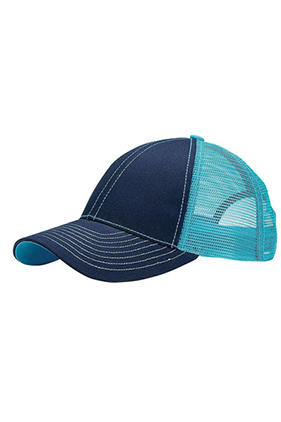 70% cotton/30% polyester heavy twill contrast stitch trucker cap. Structured, low-profile. Six-panel. Pre-curved visor, contrasting undervisor. Hook and loop closure.